An aerial view of the 2008 TVA Kingston coal ash spill, which dumped 5.4 million cubic yards of coal ash into the Emory River. Damage from coal ash disposal sites has become a growing concern in recent years after two disasters that resulted widespread environmental damage and billions of dollars in clean-up costs. 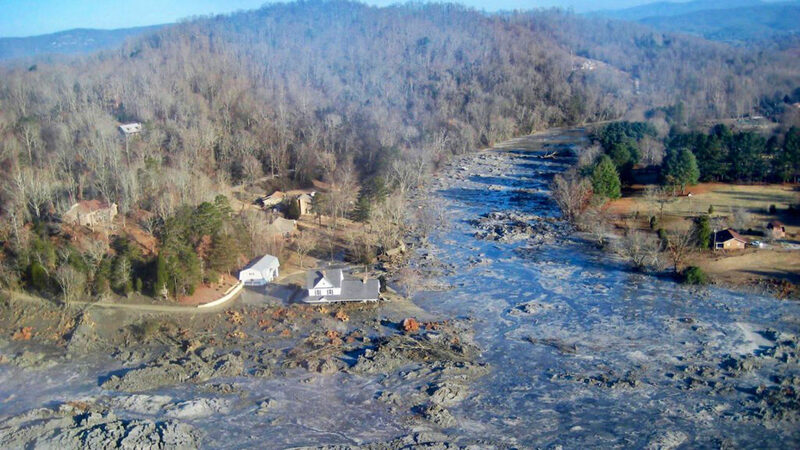 The 2008 Tennessee Valley Authority's Kingston disaster spilled some 5.4 million cubic yards of coal ash into the Emory River. “The release of the massive ash and mud sludge disrupted power, ruptured a natural gas line, destroyed several homes and caused the evacuation of a nearby residential area,” according the a site report from the U.S. EPA. The spill covered some 300 acres with toxic sludge. Hundreds of landowners and businesses won a $27.8 million settlement from the TVA. Cleanup costs so far have exceeded $1.2 billion. A view of the coal ash cleanup effort at the Kingston TVA plant in Harriman, Tennessee. 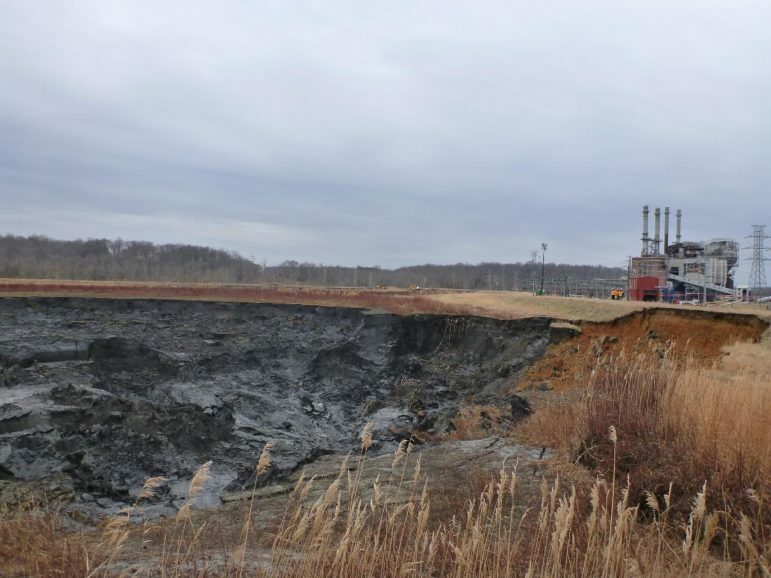 On December 22, 2008, a containment pond broke releasing over one billion gallons of ash and slurry into the river, causing the evacuation of numerous houses, a large fish kill, and prompting a nationwide review of coal ash handling practices. The EPA declared the area a superfund site full of toxic chemicals and heavy metals. Cleanup workers, citing an unusual number of serious illnesses and premature deaths, are now suing a contractor hired by the TVA for failing to warn them about the dangers of coal ash and refusal to provide protective gear. The 2014 Duke Energy impoundment failure in North Carolina coated the bottom of the river for a distance of 70 miles, with deposits ranging from several feet deep near the spill, to one-half inch 62 miles downstream. A view of the collapsed coal ash impoundment and closed power plant at Duke Energy's Dan River Steam Station, Eden, North Carolina. 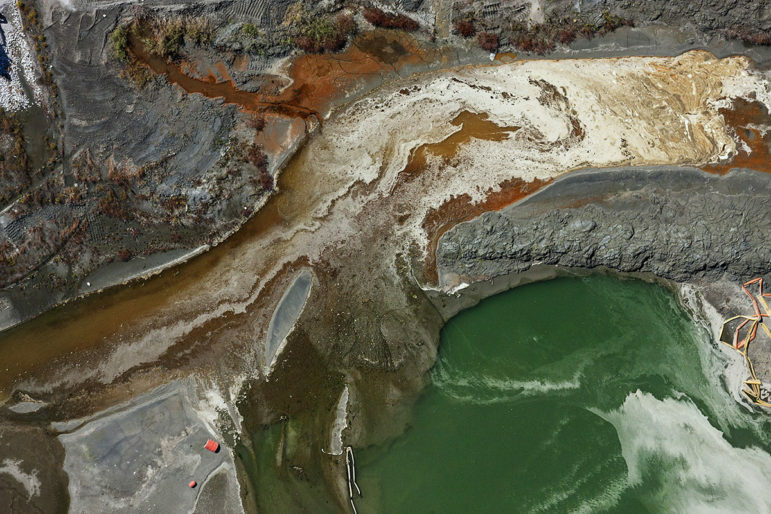 The impoundment failure caused the 2014 Dan River coal ash spill.